”The 72-year-old has covered 10 World Cups, 29 FA Cup finals and more than 200 England matches. 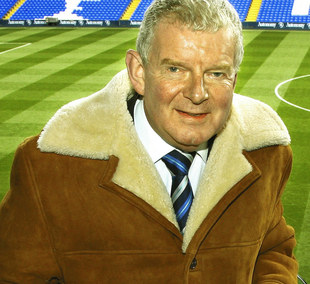 He is renowned for an encyclopaedic knowledge of the game – and the occasional on-air gaffe. Here, we recall some of his most memorable moments behind the microphone. “Here’s Gascoigne. Oh brilliant! Oh yes! Oh yes!”Paul Gascoigne scores ‘that’ goal against Scotland at Euro 96. A substitution sparks much mirth. Another World Cup, another memorable line. David Beckham’s breakfast-time penalty against Argentina at the 2002 World Cup. Veering towards stating the obvious. Underdogs Wimbledon shock mighty Liverpool in the 1988 FA Cup final. England goalkeeper David Seaman apparently defying the law of physics. Previous Previous post: Is it really WS?